We cover a lot of the more common consumer cat trees on this site, as they are the types of products that are more easy to find online for purchasing. But there are many other ways to buy or obtain a cat tree. Many areas have local builders that put a creative spin on their cat furniture, and the Minears are a great example of that. A carpenter by trade, Jeff Minear began crafting cat trees after he and his wife decided to look for a way to homeschool their son, utilize Jeff’s talents and spend more time together at home. You can now buy their cat trees through their website or through locations in the Midwest. The Minears fill hundreds of orders year round, selling cat trees at pet stores in several states including Minnesota, Iowa, Wisconsin and Illinois. Jody Minear, the business manager, said her husband also has made products for dogs, iguanas and alligators. She said the use of natural wood has intrigued many reptile owners and attracted lots of custom orders. Her husband said he even made a coat rack for one customer. Their cat trees have a really unique look, and in my opinion would look great in many peoples homes. 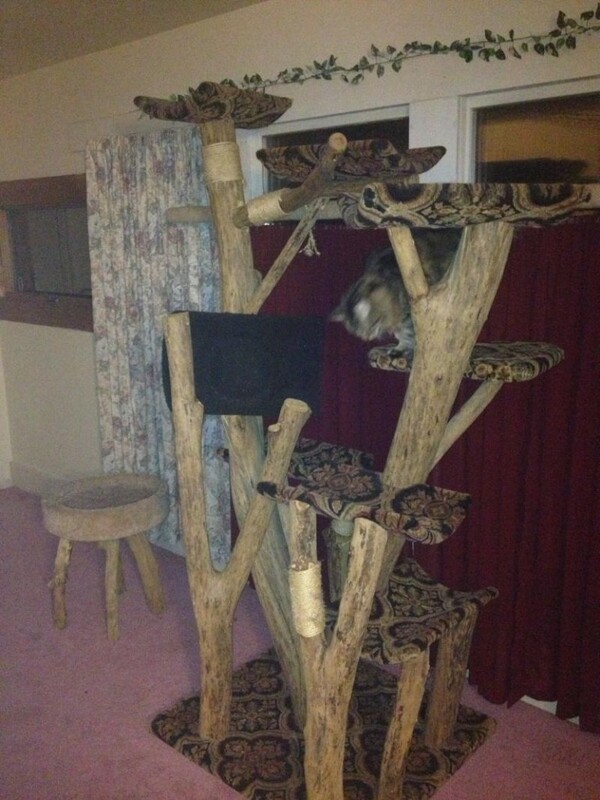 These cat trees are not very standard, each is unique due to building the cat trees with uniquely shaped logs and wood. Check out what they have available, and see the styles of their cat trees at cattreekingdom.com. This is some really neat, unique stuff!